We have a lot of old buildings here in Montana and oddly enough people keep moving more into the state. It must be part of the appeal of the state to be old and rustic. I love working with the closeup parts of the rustic buildings. There is so much detail and color and intrigue with each building that sometimes the details are better then the whole picture. One great example is simply the light on one side versus the other side. 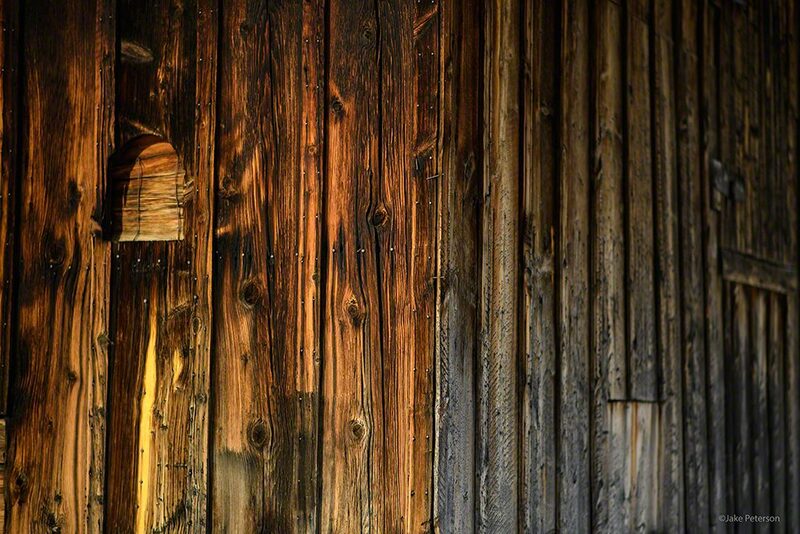 Using the corner as the divider and the natural vertical lines of the boards, it’s hard to tell what’s light, what’s just the wood and what has just been aged over time. Fun simple way to play with depth of field, light and old buildings.